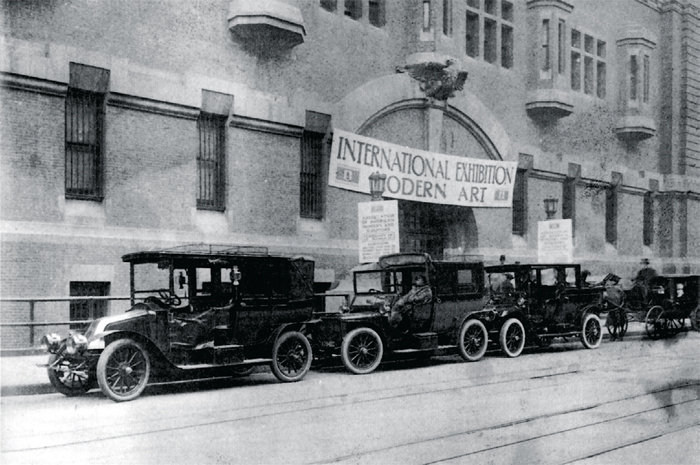 A PHOTO OF BOXY AUTOMOBILES parked on Lexington Avenue in front of the 69th Regiment Armory in New York reveals the excitement that greeted the beyond-famous, dramatically transformative Armory Show. The day of the exhibition’s opening, February 17, 1913, some four thousand visitors turned out for an overview of international developments in contemporary art; by show’s end, some eighty thousand visitors had seen it. 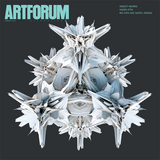 Though intended to promote American art, the Armory Show also embraced the radical avant-garde in Europeat the time, still largely unseen in the United Statesand ultimately effected a cataclysmic shift in American aesthetic sensibility. Any effort to demonstrate American parity with European achievements on the cusp of World War I went by the board. Another photograph depicts the show’s interior, setting several works directly in the viewer’s sight line.